Little Printer was a mini connected printer developed by the Berg Cloud company. Little Printer allowed users to choose a collection of publications they wanted to appear in a mini daily newspaper that was printed automatically at a chosen time. I created a publication for Little Printer that displayed new, top-rated movies based on data from Rotten Tomatoes. 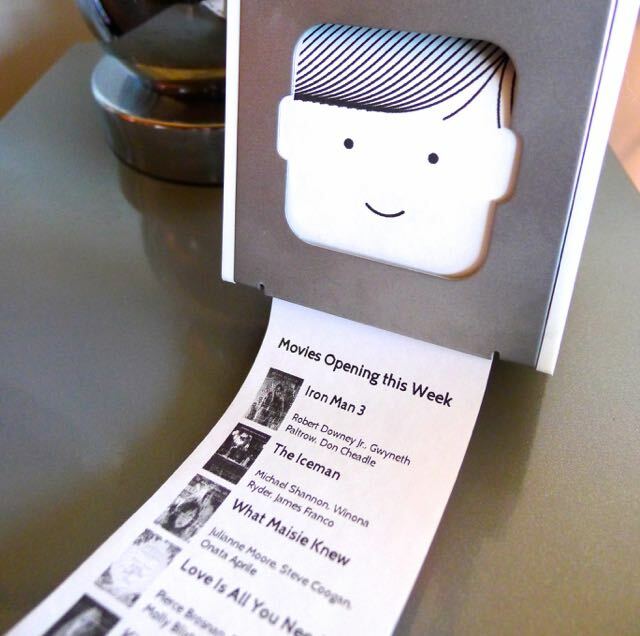 Although the official Little Printer cloud service has since been shut down, I love the idea of creating a mini, personalized newspaper that you can take with you as you start your day. This photograph shows a preliminary prototype of the publication after being printed from a Little Printer device. 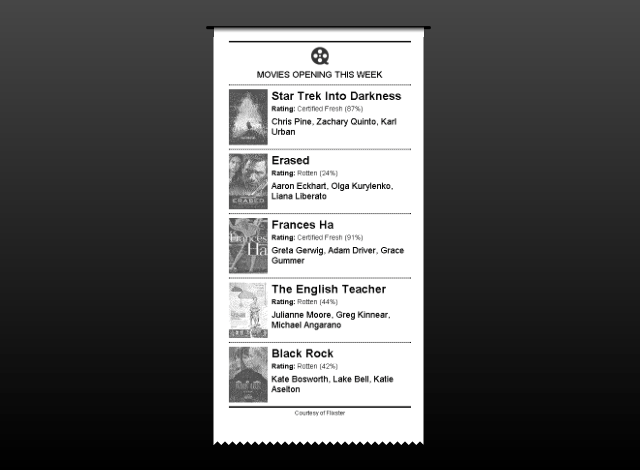 The publication included the movie titles, top actors, and ratings for movies that were opening in the upcoming week. The movie list was tailored to the printer owner’s country of residence. This rendering shows the final visual design for the publication as it appears on a black-and-white thermal printer. I implemented the layout and styling using standard HTML and CSS. As part of this project, I created a Java-based REST service template for other developers to use in creating their own publications. 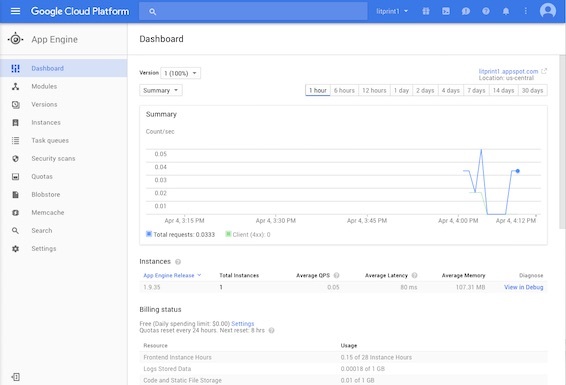 The service template allows for easy deployment to Google App Engine for hosting the publication.